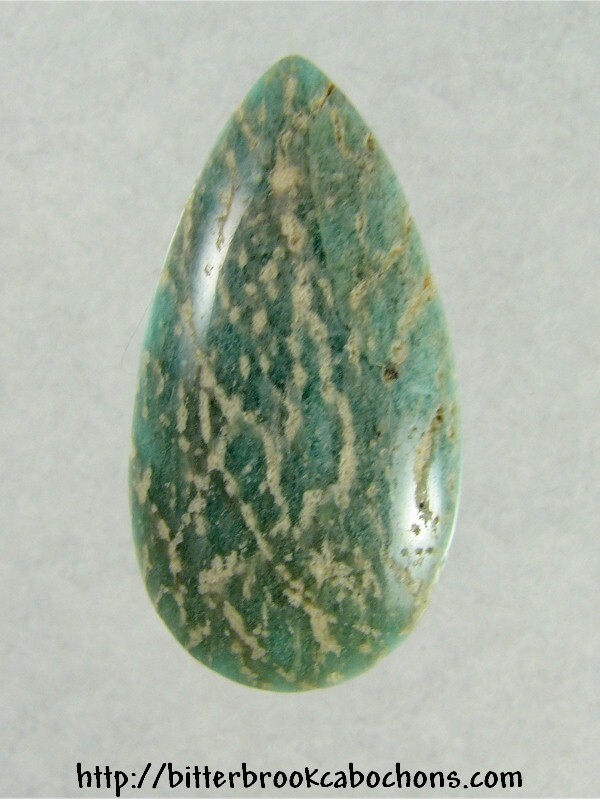 This nice freeform teardrop-cut Amazonite cabochon has a natural appearance. It has not been stabilized, but it is stable, with a rough-hewn appearance. I think it's a good-looking little cab! Dimensions: 35mm x 18.5mm x 5mm. Weight: 19.50 carats.